Our third of four guest GCPC host possibilities. Tonight Geocacher Jesse Lunsford aka Memphis Mafia will share insights about geocaching and why he wants to be a host on our show. Geocaching is a family affair in our house. We are a pretty tight family and it is a way that we can all spend time together. I’m a retired police officer and currently work in the emergency management field. When I’m away from work I want to have fun and get outside and play – geocaching allows me to do just that. We moved to Colorado six years ago which is when we really started geocaching. We were looking for something to do and a way to explore our new area. We ended up attending an event and ultimately met most of the people we know in the state through geocaching. We started by walking around finding the closest geocaches that we could with that horrible old intro app. We progressed from there to diving in and trying every aspect of the game we could. Ok I have to say that I actually cached before Colorado. A couple years before moving out here I found one cache. It was an LPC and basically we didn’t get into the game at that time. A buddy of mine pointed out to me that I left that part out on another occasion as he was the one who went with me. I can’t leave him out today because we are all meeting up in Chicago on the chance of what could be happening “no jinx”. What is it like to geocache in Colorado? My family all has their own favorite aspects but for me, it is the extreme stuff. I like the caches that take planning and push you just a little outside your comfort zone. Kristi and I met up with another cacher to plan our next geocaching trip. We are headed to the swamps of South Florida for a series of kayaking caches. On the last day we are going for a 5×5 Virtual. We have been planning this one for a while. It will be three days of caching, all by boat. We have to get plane tickets, a car rental, rent boats, find a place to stay… that is what makes for fun geocaching for me. I could probably fill a few shows here. My biggest pet peeve is people taking themselves and the game too seriously. It is a game meant to be fun. There is so much to the game that you have to be able to find something you like. I have opinions just like everybody but I’m not going to get down on someone else for whatever it is they like. I love to hike. My wife likes easy caches all in a row. Its not my favorite but I can still go out and have fun playing the game with her. I’m a fan of geocaching which goes without saying but more so I like the community of geocachers. I do my best to be a part of that community by hosting events at home and when we travel. This game can be a very solitary game but I have chose the opposite path. I have a google voice number on many of my cache pages to invite people to call me if they need help. I love it when cachers use that number to call and ask a question about html, or wherigos, or anything that I can help with. I think we should all pull together to elevate the game. Geocaching in the media. I know Groundspeak just announced they are going to make their own “official” podcast and that may change things. 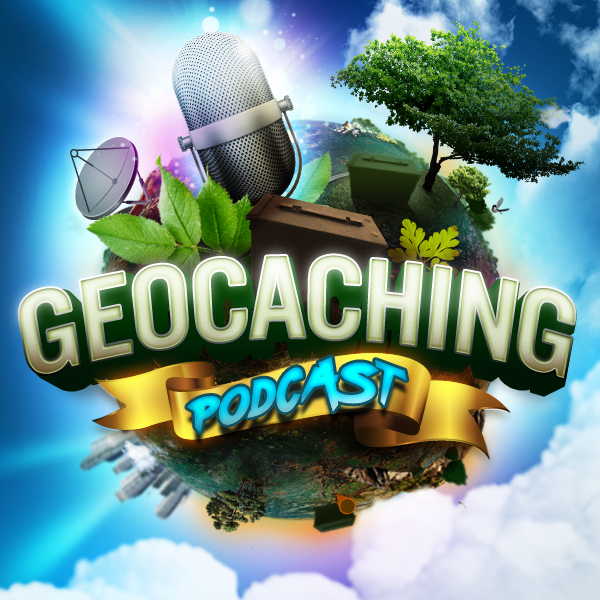 I am shocked by the amount of people that have been geocaching for a long time and are unaware of podcasts. I don’t understand that. This is your game. Podcasts are basically ESPN.